Salt. It's an important component of our daily lives. We have containers of salt in our cupboards, add salt to meals each day, eat food that has been preserved with salt, and yet we take it for granted. Part science, part history, The Story of Salt, is an interesting look at the role salt has played in ancient civilizations, exploration, wars, and more. Kurlansky begins the nonfiction picture book with a clear, scientific explanation of what salt is and where it's found on earth. In a narrative style, the author makes the case for the importance of salt in our lives and sheds light onto how salt helped shape history. "Salt is the only rock eaten by human beings. In fact, all mammals, including humans, need to eat sodium chloride in order to live." The book is organized chronologically beginning with Ancient China and ending in the twentieth century. When it was discovered that salt could be used to preserve fish and meat, it became a highly valuable commodity. Kids will find it interesting to learn the Chinese government used money from selling salt to fund the Great Wall of China. Salt was used to preserve mummies in Ancient Egypt, and roads were built to transport salt in Ancient Rome. Salt allowed people to travel longer distances because they could bring cured fish and meat to eat on their journeys. During the French Revolution, police officers were dedicated to catching people who were smuggling in salt as a way to avoid the king's salt tax. Cartoon-like watercolor and ink illustrations will appeal to children and make this picture book a good candidate for a read aloud. The book is light on back matter; there is no bibliography or list of sources. However, a timeline will prove useful to middle grade readers who need support putting events in context. 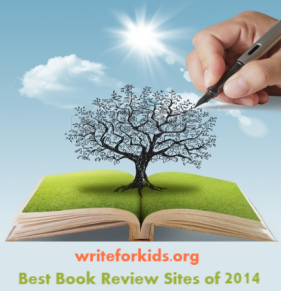 Teachers or librarians in search of a compelling nonfiction read aloud should look no further. 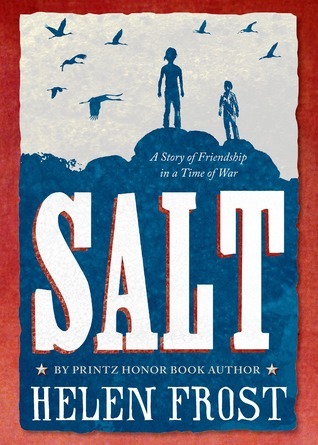 Pair The Story of Salt with Helen Frost's novel in verse, Salt: a Story of Friendship in a Time of War. Set in Fort Wayne, Indiana in 1812, Salt alternates points of view between an American settler boy living in the fort and a Native American boy from the Miami tribe. When tensions rise between the Native Americans and the settlers, war looks imminent. The settlers are told to stop trading salt and other supplies with the Native Americans which leads to more tension. The two narrators give readers a glimpse into the complexities of the relationship between Native Americans and settlers that can not be gleaned from a textbook. 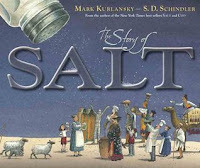 Visit Mark Kurlansky's site to view pages from The Story of Salt. I love this book and Cod. The kids learn so much and are able to really understand how economics and trade work.